The Challenge Initiative supported Bauchi State in conducting 72-Hour makeovers of five primary healthcare facilities. 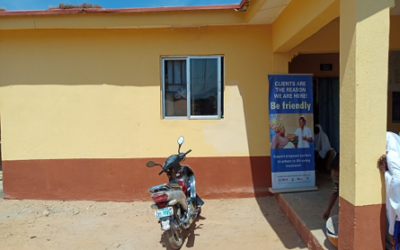 In Bauchi State, the 72-hour clinic makeover – one of The Challenge Initiative’s high-impact interventions – has become instrumental in the overhaul of the public healthcare sector. During a neighborhood family planning campaign in Mokwa LGA in Niger State, Nigeria, an inquisitive nine-year-old boy named Mohammed overheard a social mobilizer speaking with one of his relatives about child birth spacing. The Challenge Initiative helped Kano State in Nigeria conduct 72-hour makeovers in six health facilities, including the Jaen Primary Healthcare Centre (PHC). A Muslim religious leader in Bauchi state, Nigeria, Mallam Suleiman Usman, recently shared his experience working with the Initiative.